Leasing and buying both offer an extensive list of benefits that can make your life as a Toyota owner easier. But it’s important to know each option well to make sure you choose the one that best meets your specific needs. At Andy Mohr Toyota, we want to help all drivers in the Avon, Indianapolis, and Plainfield areas make the most educated car buying decision to ensure they drive home happy. So, we made this FREE Leasing vs. Buying eBook. 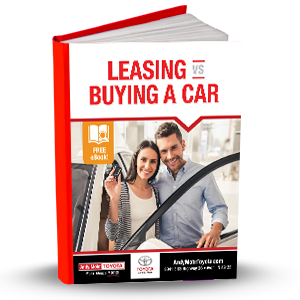 In this eBook, we’ll discuss the details of leasing and buying so you can get a better understanding of each option. Here’s a sneak peek at what you’ll learn when you read through our eBook. This helpful guide will give you everything you need to know about buying and leasing. To download our free eBook, fill out the form below and click submit.